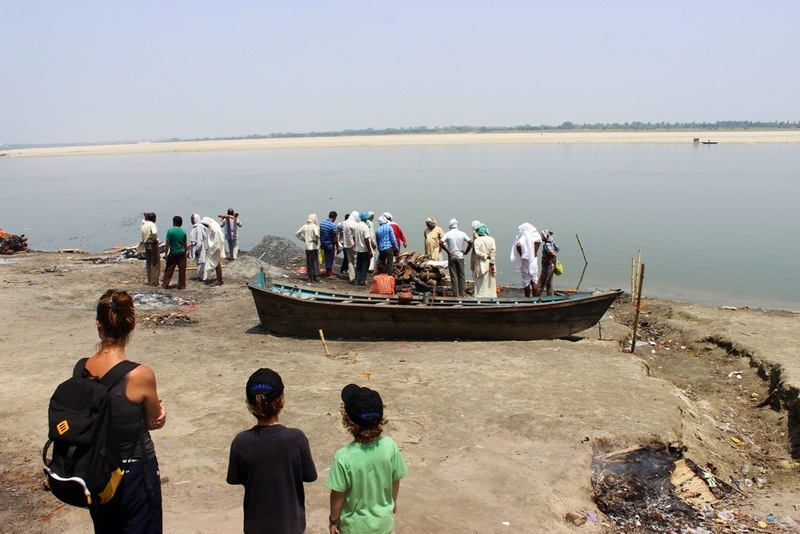 A ghat is a flight of steps leading down to a river (usually a holy one.) 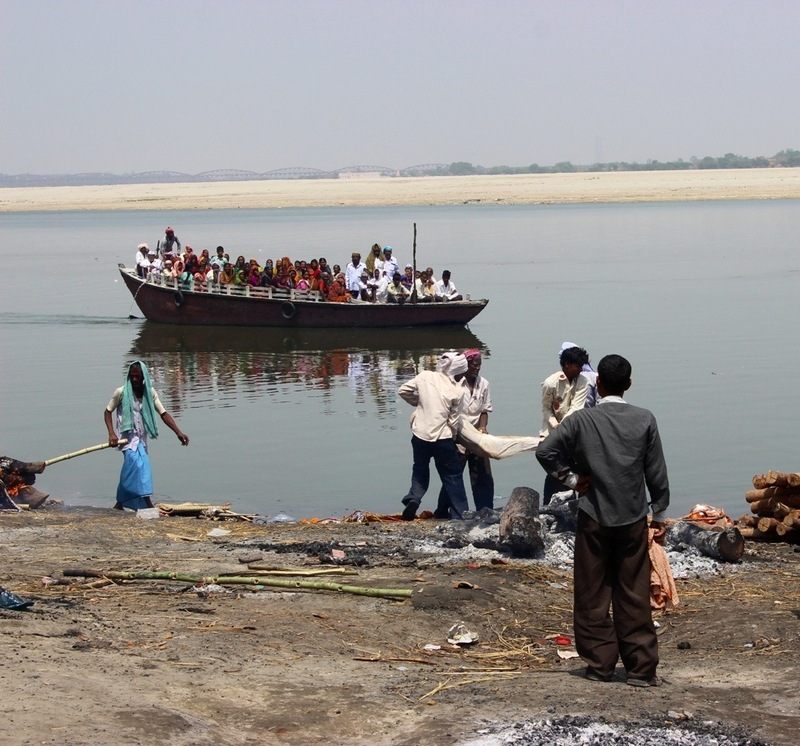 These pictures were taken at a cremation ghat (this is not the holiest one which is called Manikarnika Ghat.) 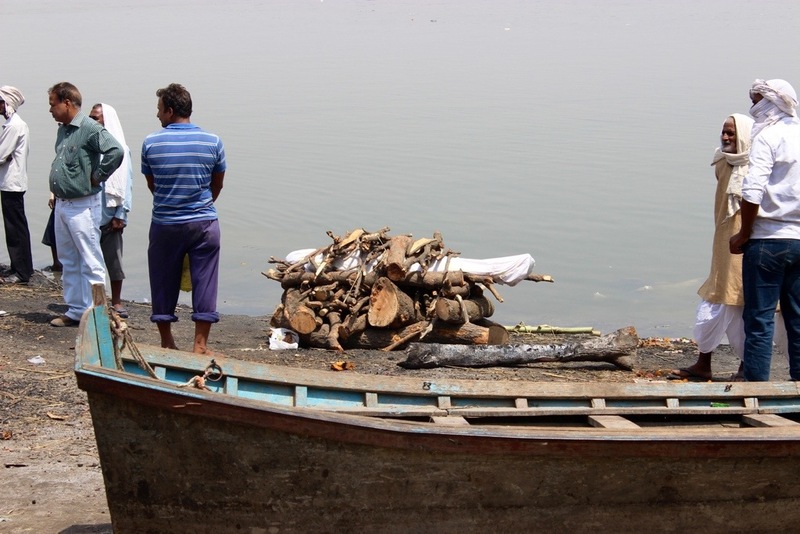 Piles of wood are put near the water’s edge. A group of men take a body wrapped in white cloth and place it on the pile. Someone starts a fire on the chest of a man and the hips of a woman. 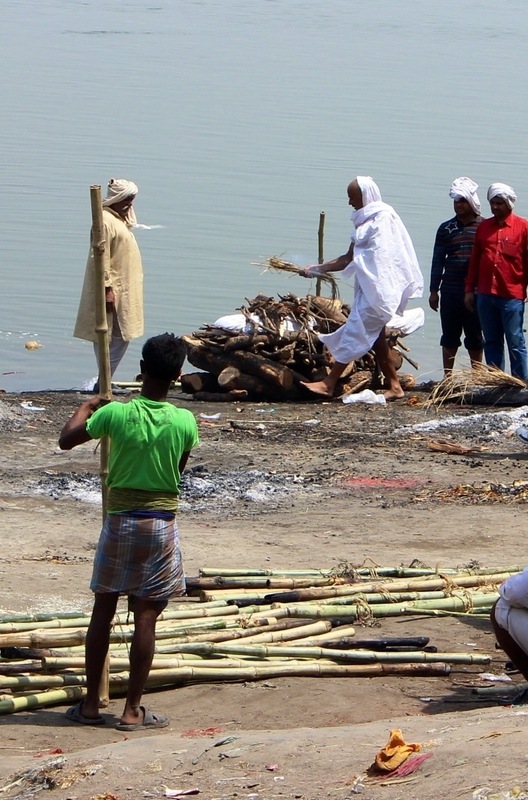 After the cremation the bones and ashes are thrown into the Ganges. 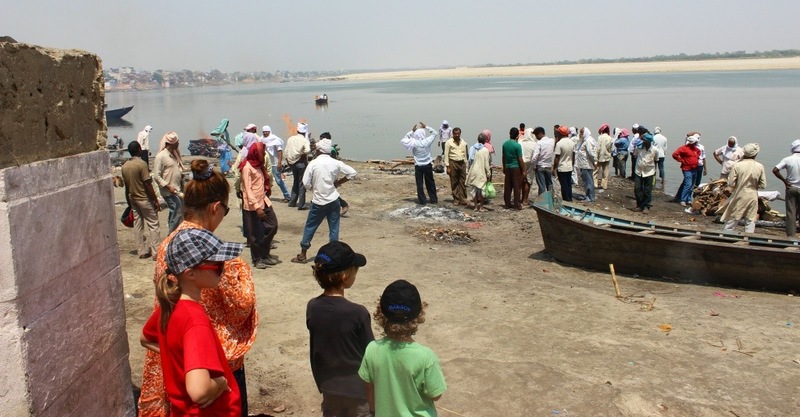 Even those who are not cremated near the Ganges have their ashes placed there. It is believed that if your are cremated in Varanasi- you will go straight to heaven. (That is why we saw many elderly people laying on the steps simply waiting to die- they are saving the cost of someone having to transport their body to the holy city.) 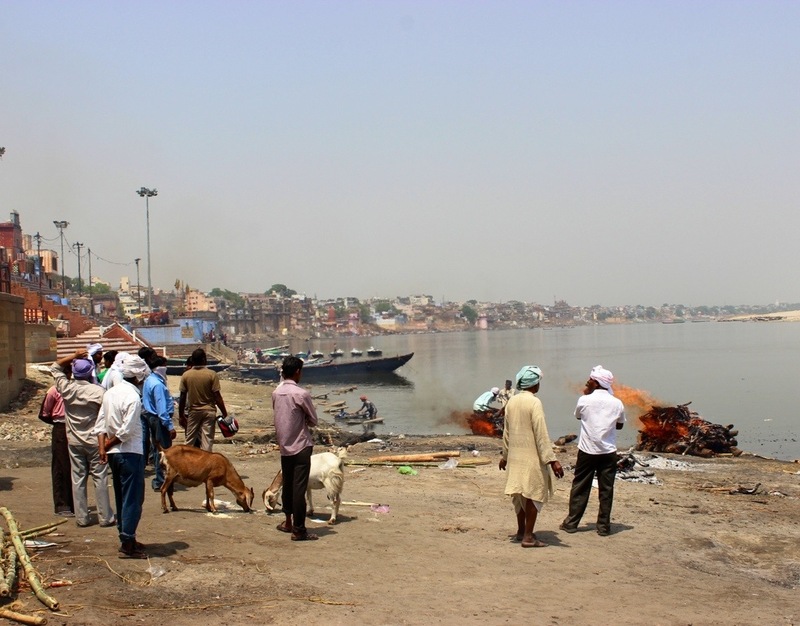 In the past thousands of dead bodies skipped the cremation process and were thrown directly into the Ganges during cholera epidemics which made the disease spread out of control. Today only bones and ashes are supposed to be scattered in the river. However, those who can not afford the large amount of wood needed to burn the entire body, leave behind a lot of half burned body parts. To get rid of the body parts special snapping turtles were released in the river that were taught to eat dead human flesh but leave swimmers and bathers alone. The turtles didn’t really work and have since inexplicably disappeared. 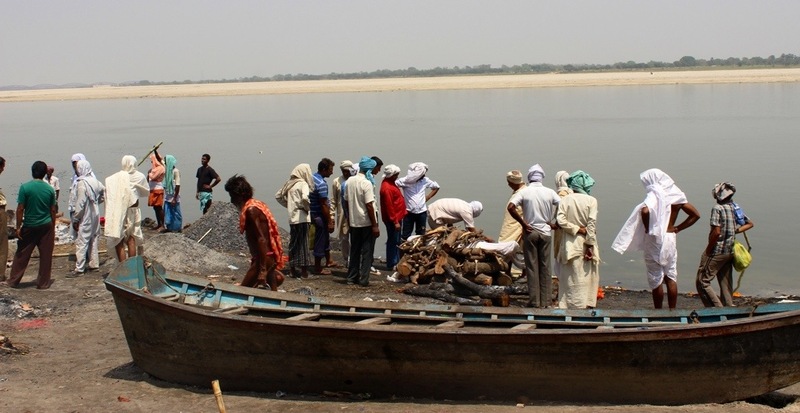 In the early 1990s, the government built an electric crematorium at Hrishchandra Ghat, in part to reduce the amount of half-burned bodies floating down the river. It wasn’t well received and many people still preferred the traditional method of cremation. 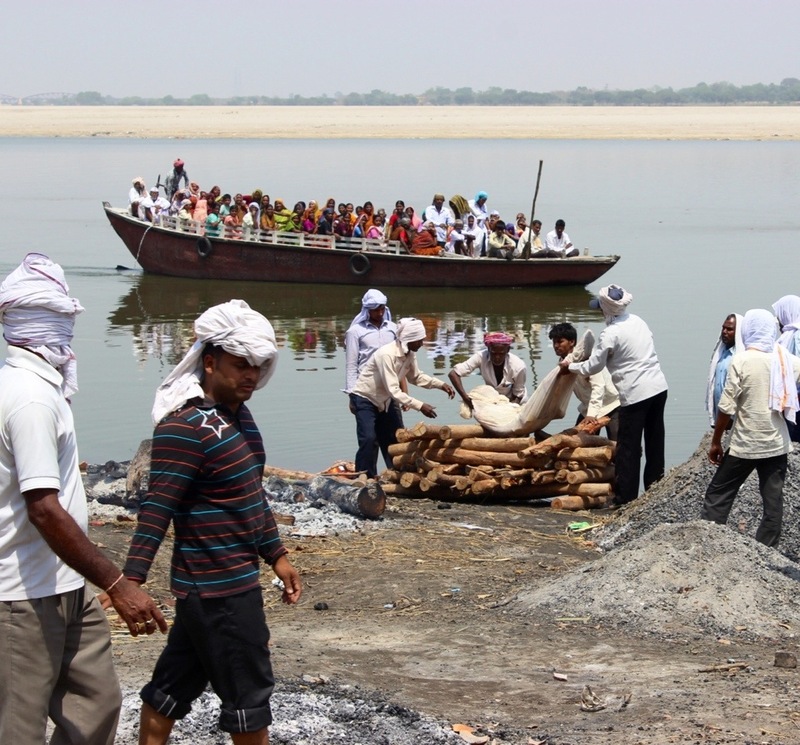 Holy men, pregnant women, people with leprosy/chicken pox, people who died because of snake bites, people who had committed suicide, the poor, and children under 5 are somehow exempt from being cremated, so their bodies float freely down the river to decompose.